Meet Suee: Twelve years old, wears her hair to the left in a point, favors a black dress, has no friends—and she likes it that way! 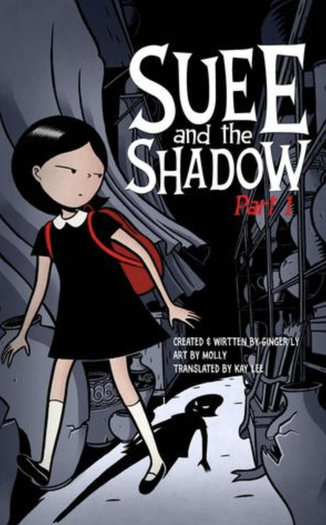 When Suee transfers to the dull and ordinary Outskirts Elementary, she doesn’t expect to hear a strange voice speaking to her from the darkness of the school’s exhibit room, and she certainly doesn’t expect to see her shadow come to life. 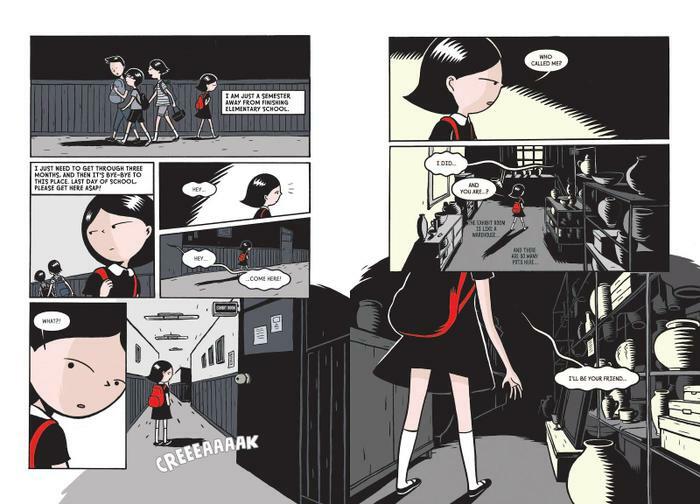 Then things start to get really weird: One by one, her classmates at school turn into zombie-like, hollow-eyed Zeroes. While Suee investigates why this is happening, her shadow gains power. Soon, Suee must confront a stunning secret that her shadow has been hiding under her own two feet—something very dark and sinister that could put Suee and her newfound friends at risk!